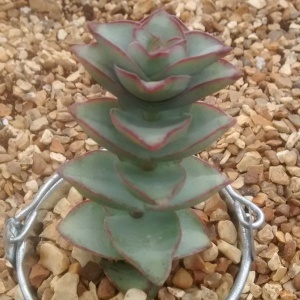 A 'stacked' crassula with greyish leaves having a red edge. Height to 18ins. 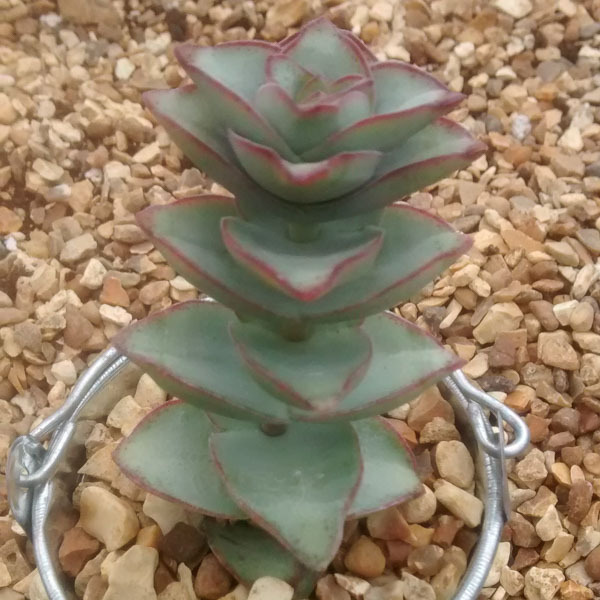 Plant in a well drained compost great as a houseplant or in tubs for summer.